If You Are Looking To Increase Online Visibility Of Your Website, Please Try Our Niche related Quality Backlinks Services through Niche related Main domains Blog Commenting Service. 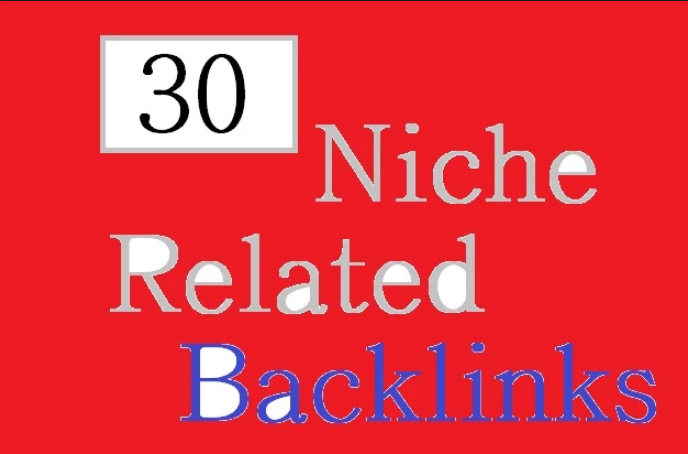 So I will provide 30 backlinks niche related "Main domains" websites with the keywords of your choice. These are great to increase your site ranking factors. Upon completion you would receive a complete report of our work. There is no risk for your site because the links are created 100% manually. 100% Panda/Penguin safe. Try Our Service Once, And You Would Never Want To Go To Any Other Blog Commenting Provider. If you would like a sample prior to purchase to ensure the product is right for you, please ask me,.. Please Note: "We does not accept niche gambling, adult, illegal pharmacy, dating sites."